Much to his chagrin and puzzlement (so convinced was he of its merits), it didn't have an immediate effect on European philosophy, views and culture. It was only decades later that it was recognised as one of the major intellectual landmarks of the 19th century. It proved to be a work that was not only to make an indelible impression on leading figures that followed him closely - Friedrich Nietzsche, Thomas Mann, Sigmund Freud - but also others well into the 20th century, including Carl Jung, Herman Hesse, Jorge Luis Borges, Karl Popper and Samuel Beckett. What was the Schopenhauerian proposition that made The World as Will and Idea so important? Absorbing views from Kant and Buddhist ideas filtering almost for the first time through Europe, Schopenhauer, putting the concept of God aside, proposed that man is driven by 'a will to life'; desire, craving, wanting - these are the elements that propel him fiercely along life's path, even though it causes him suffering. It is on that basis that Schopenhauer opens the work with the statement 'the world is my idea'. Man perceives the sun and the earth but can relate to them only through his own consciousness. He makes his own world. Though stamped as a pessimist, and certainly combative as a personality and a writer, Schopenhauer’s work - and The World as Will and Idea - doesn't read darkly. Instead it is rich and challenging, as he surveys broadly philosophy, history, art, literature, music and culture generally. His opinions are strong and testing, his breadth of knowledge invigorating. The translation recorded here is the classic rendering by R. B. Haldane. However, the numerous literary and philosophical references - Greek, Latin, German, French, Persian, etc - in both the main text and the relevant footnotes are given here in English. 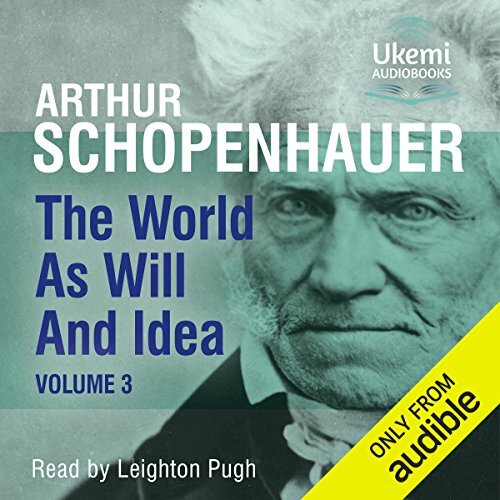 Thus Schopenhauer's major work can be absorbed and enjoyed directly - and especially in this intelligent, clear and committed narration by the actor and German scholar Leighton Pugh. 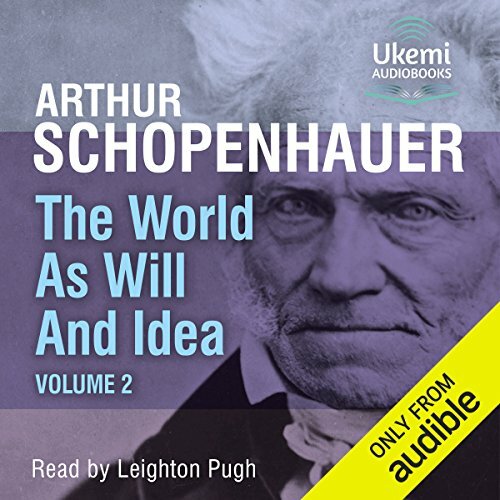 Schopenhauer has had a long and continuing influence extending well into the 21st century, and The World as Will and Idea is one of the great stepping-stones of European thought which needs to be listened to. He added a subsequent volume later in his life, but volume 1 is the major work. 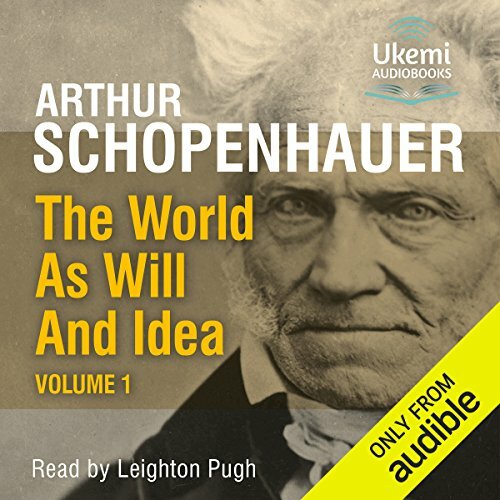 The original edition of The World as Will and Idea appeared in 1818, but in 1844 Schopenhauer published an expanded version. It contained the 'Criticism of the Kantian Philosophy', a lengthy document; and Supplements to the First Book ( The Doctrine of the Idea of Perception) and the Second Book ( The Doctrine of Perception or Knowledge of the Understanding). In this final part to Schopenhauer's momentous and hugely influential work, his original and wide-ranging observations are as lively as ever. Though cast as a 'pessimist' by history, he is anything but that to read - and listen to. Here are the last supplementary comments his original work (published 1818), the fruit of decades of further reflection.